None of us can deny that in recent years cafés and coffee shops have seen a dramatic increase in popularity. In fact, you can hardly walk down a street without seeing at least one boutique café, offering more cakes and beverages than we ever knew existed. If you want to get a piece of the action (and cake), but don’t know where to start, then look no further. This guide explains how to start a café business and all the information you need to know. None of us can deny that in recent years cafés and coffee shops have seen a dramatic increase in popularity. In fact, you can hardly walk down a street without seeing at least one boutique café, offering more cakes and beverages than we ever knew existed. This sudden uptake in popularity is unsurprising when you consider our nationwide love of freshly baked pastries, cooked food and hot drinks. We are a nation of cupcake lovers and coffee addicts. In fact, the British Coffee Association have discovered that we drink approximately 95 million cups of coffee each day in the UK alone. It’s no wonder that the café industry is booming. If you want to get a piece of the action (and cake), but don’t know where to start, then look no further. 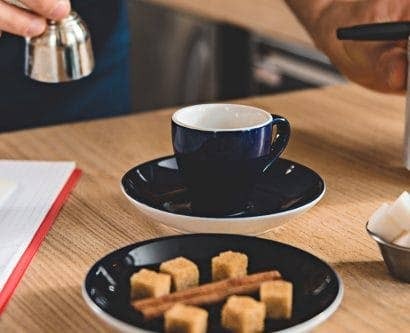 This guide explains how to start a café business and all the information you need to know. An opportunity to be your own boss. The current popularity of cafés. A sense of community and an opportunity to meet and communicate with many different people. Doing something that you have a passion for. Many opportunities for personal and professional development. Freedom to craft and create your own business and menu. Given the increase in their popularity over the past few years, now would be the perfect time to set up your own café business. As with any new business, taking the plunge and knowing whether it’s worthwhile is a difficult step to take. It’s important that you’re aware of the risks of starting your own business and don’t just dive into it blindly. You’re fully responsible for everything, including hiring, firing, and finances. You may have a potentially high turnover of staff due to the nature of the industry. If the business fails, ultimately you lose money. You’ll have lots of competition from larger chains, such as Starbucks and Costa. Customer service is just as important as the items you sell, so make sure that you’re a people person. The toughest part of starting a business is always getting it off the ground and making your vision a reality. Renting or buying the building. Buying equipment, crockery, cutlery, and utensils. Paying staff, which can be especially difficult if you don’t make money straight away. Buying ingredients for everything you plan to make and sell. Bills, such as water and electricity. So, how much is this all going to cost? This is a question you need to carefully consider. You should always budget for a bit more than you work out, just in case anything goes wrong or issues come up, such as finding faulty wiring when decorating. After working this out, you then need to consider your funding options and how you’re going to pay for it all. We’ve outlined some key funding options below. If you’re in a financial position to do this, it’s the best option to take. By funding the business yourself, you don’t need to pay any interest and you have no obligations to anybody else. It also shows future investors how serious you are about the business. If you’re using this approach, you should ideally have the money set aside. However, you can also consider savings accounts, zero interest credit cards, and the leveraging of other assets – although be careful not to bite off more than you can chew. Bank loans are secure and have lower levels of interest than other loans, but they can be hard to get. Most banks like to see a history of a business making money and financial success before they give you a loan, so that they can be confident you’ll repay them. You should ensure you have a thorough and well considered business plan to show banks that you’re serious about the business and have thought everything through. Most banks offer business loans, often with the opportunity to borrow up to £25,000. Many banks also help you plan towards your success and some even offer mentoring programs to help you. Fixed interest rates, which usually accompany bank loans, are beneficial as you always know what you’ll be paying. How much you plan to invest and how this compares to what they will invest. The purpose of your borrowing and your finance options. The time period over which you’ll repay the loan. Security and assets. This is a way for them to seek appropriate security in the event that you can’t pay, such as guarantees, property, or other assets. Cash flow forecast. This is so they can check you have thought about your business model fully and have thoroughly considered how much money you can make, and when. Another way you can fund your business is by applying for a government grant. There are over 200 grants available for small businesses in the UK that cover a wide range of awards, from saving money on premises to buying cheaper equipment. The government offers grants to new businesses on the basis that it will generate jobs and stimulate the economy. Despite this, government grants are complex to attain and have many processes and stages to apply. Each grant has its own criteria and application process, so it’s important that you do your research. For a full list of providers, use the government’s business finance support finder. Doing your research is an incredibly important step if you want your business to succeed. Your research should focus on two main areas: market research and customer research. A vital step in starting any business is to know your market. This involves lots of research and you need to truthfully ask yourself if your café business will succeed. Know your market and make sure that your café idea fits into the marketplace. For example, if you aim to target your café at the commuter market who can grab a coffee and sandwich on the go, then this is unlikely to succeed in a suburban area full of families. Similarly, you need to consider the level of competition in the area. If there are already numerouscafés in that area, and there isn’t a gap in the market for another, you may have to consider setting up elsewhere. Despite this, you shouldn’t fear competition, as many businesses can feed off each other. Instead, make sure you do something that makes your business stand out by offering something that no other business in the area do. For example, make your coffee menu unique or hold particular special offers. What do you want from a café? – For example, a quiet place to go for a snack, a buzzing atmosphere to go for a coffee, or somewhere that satisfies particular requirements, such as all day brunch options. What would you like to see on the menu? – For example, a wide selection of coffees and flavourings or just a basic Americano? This question may expose a desire for a particular type of menu, such as an extensive selection of vegetarian and vegan options. Remember to also consider a range of allergies, such as gluten and dairy, and offer alternative options, such as gluten-free bread or soy milk. What opening hours would you like? – If nobody would like a late-night opening café, then there’s no reason for you to open one. Instead, people may prefer a café that opens especially early so they have time to grab a coffee and a bite to eat before they go to work. You don’t need to implement all the ideas people give you. However, you should keep them in mind when you write your business plan and never just ignore them.These ideas will help you succeed. All businesses need a carefully considered business plan. Without it, you’re unlikely to gain any momentum. By doing your research, you’ve already taken a massive step towards creating a successful business plan. A business plan is a document that sets out the objectives for your café business and helps you see how you’re going to achieve them. It helps you to keep a focus on what’s important and what’s not, and what you need to prioritise in order for your business to thrive. The name, address, and contact details for your business. Information on the management of your business and who’s in charge. Your company’s mission statement: a short statement of the overall aim of your business. Where your business will be based and any costs associated with these premises, such as any maintenance and service changes. Your start-up costs. This includes any equipment and ingredients you need to buy, insurance, the cost of the premises, and whether you need to pay anybody’s wages. The everyday costs of the business. Calculate how much you’ll spend on a weekly and monthly basis on things such as ingredients and supplies, people’s wages, electricity and water bills, etc. Funding and financial plans. This should include where you plan to get the money from to start your café business, your projected profits and losses for the next month and year, and how you plan to maintain your cash flow. Your working hours: full-time or part-time? Whether your business has any local competition and, if this is high, what you will do to make it stand out from the crowd. Your pricing strategy: how much are you going to charge for each product you sell and what promotional pricing offers (if any) are you going to use? Any further logistics you need to cover. Our one page business template provides you with a great place to get thinking and start your business plan. Your plan should be concise, specific, and honest: know your finances and don’t overestimate how much money you expect to make. Budgeting is a key part of your business plan and managing your finances appropriately. It helps you to keep track of how much money you’re making and how much you’re spending, and allows you to make adjustments accordingly. Consider varying costs. Whilst some prices may remain fixed, others will vary dramatically. Always overestimate your expenses so you don’t find yourself stuck when something is more than you planned. Delete unnecessary expenses. If your profit margins look slim, take a look at any items you can remove or change. For example, buying supermarket versions of certain products as opposed to branded. Put money aside for a ‘rainy day’. There are certain costs you can never predict, such as your dishwasher breaking. Put some money to one side so that, when something inevitably does go wrong, you have money to fall back on. Plan your money on a month-by-month basis. It’s unlikely that your business will see the same income every month. For example, you may have busy periods in summer and quieter periods in January when people are recovering from the costs of Christmas. Remember to include your start-up costs. Your first year of business will be more expensive than others, for reasons such as the need to buy equipment. Don’t forget to accommodate these in your budget. Plan your pricing list. This has a substantial impact on your business. Put simply, if you don’t have enough cash coming in, then you won’t be able to afford to continue. However, be careful not to overprice your products immediately upon opening. Entice new customers in with offers and gradually increase your prices, though be careful not to leave yourself in the red when doing this. Consult a financial adviser. If you need help with budgeting, or want to create a more thorough financial plan, consulting a financial adviser can be a good investment. When you first set up a business you need to register with various people. Any business that handles food operations must register with the government. If you run a food business and don’t register it, you may be fined and/or imprisoned for up to two years. You must register at least 28 days before you start any food operations. 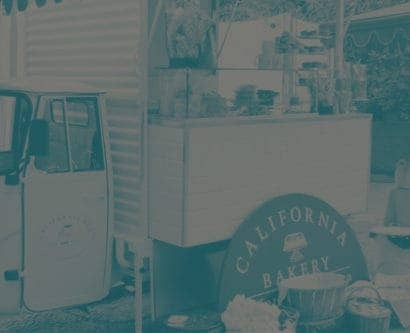 You can register your food business on the government food business registration page. You must make sure that the local authority always has up-to-date information on your premises and you must tell them if you plan to change anything significant about your business. Everyone needs to register their business with HM Revenue and Customs (HMRC), no matter how small your business is. When you initially set up your café, you’ll likely be operating as a sole trader. This means you run your own business as an individual and are self-employed. You can find out more about operating as a sole trader, and register as one, on the HMRC website. If you set up a café business with someone else, then you’ll enter into a business partnership. This is where you and your partner(s) personally share responsibility for your business and both pay tax on your share. You can find out more about business partnerships, and register as one, on the HMRC website here. By law, all caterers must have Employers Liability Insurance which covers you for the health and safety of your employees. 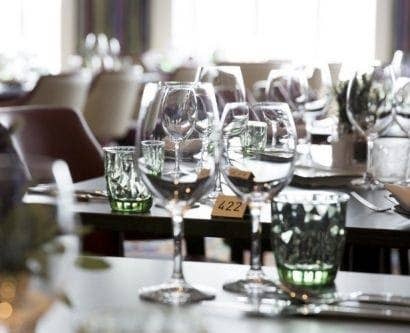 All caterers should also have Public Liability Insurance to cover injuries to the public and Product Liability in case anyone gets food poisoning as a result of eating your food. Doing a simple search online for ‘small business insurance’ will help you to find a suitable insurance company. 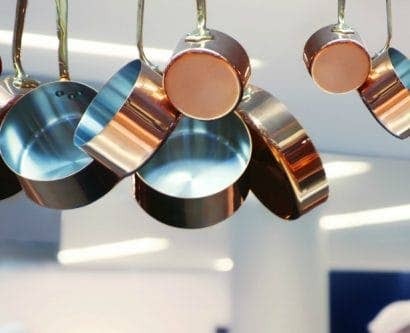 All gas-powered equipment used for catering purposes, such as your gas hob, must be installed, inspected and tested annually by a Gas Safe engineer. It is also important to get all of your electrical equipment tested every 6 or 12 months by a registered electrician to ensure that it is safe to use. Safe electrical equipment will be issued a PAT (portable appliance testing) sticker. Food safety regulations state that anyone responsible for handling and selling food must ensure that the food they sell is safe to eat. This also applies to anyone you have working for you in your business. 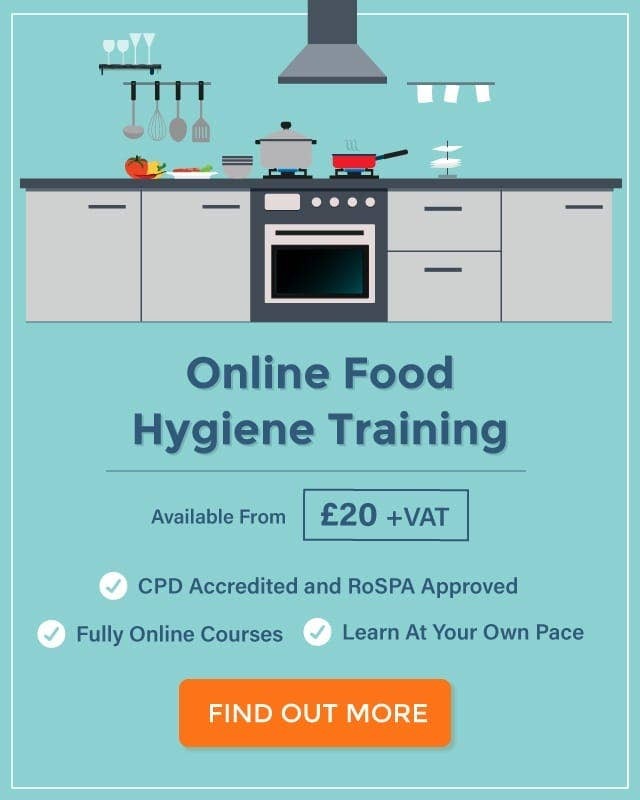 The easiest way to prove that you are complying with the regulations is to take a food safety training course that covers all of the essential food hygiene topics, including areas such as safe food holding temperatures, cooking temperatures, use-by dates, cleaning procedures, preventing cross-contamination and allergen labelling. This training should then be refreshed every 3 years to ensure that you keep up to date with any changes in the law or food safety practices. 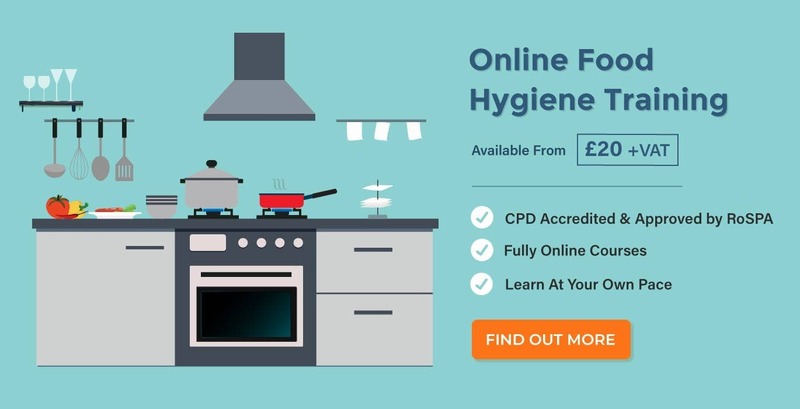 High Speed Training offers a certified online Level 2 Food Hygiene course that you can take from home and in your own time. Level 2 is seen as the ‘basic’ level for all food handlers. Simply sign up to the course on the website, complete the training and you’ll be sent a certificate to prove that you’re complying with the law when you receive an inspection from the EHOs. Head to the High Speed Training website for more information about food hygiene training. You should also undertake a risk assessment to ensure that any food safety hazards are eliminated or minimised. This is known as a ‘HACCP’ control system, which you can find out more about with an online training course or on the Food Standards Agency website. the FHRS is a scheme developed by the UK government and the Food Standards Agency to help promote the importance of good food hygiene practices. When your café business has a food safety inspection, the food safety officer will give you a rating from 1-5 depending on how hygienically food is handled, the condition of your premises and how you manage and document food safety procedures. All businesses should aim to achieve the highest level 5 score. You can find out more from Scores on the Doors. An important step in starting a business is deciding how you’re going to market it and get it heard. Online advertising is a great way to reach many people who may not hear about you otherwise. Consider joining Facebook, Twitter, and Instagram to show off your café. Facebook gives people the chance to leave reviews about your business and is the most widely used social media account. Use Twitter to attract attention through hashtags and use Instagram to post pictures of your delicious food and drinks. Social media is also a great way to find out the latest news and how similar businesses are operating. You should also create a website to advertise your latest offers, your menu, and where you’re located. Offline advertising is just as important as online when it comes to drawing new customers in. Travel around the local area handing out flyers to people or give away some free tasters in the street. Also consider initial opening promotions or certain themed events to draw people in. A free coffee for the first ten people who walk through the door. A free coffee when customers like and share your Facebook page. When deciding offers, however, remember not to create any that will leave you at a financial loss. Budget these into your marketing plan to make sure you’re covered. 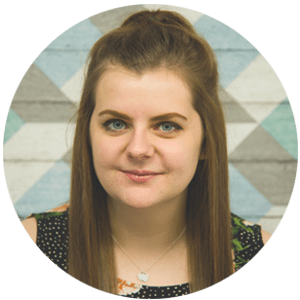 Hiring the right staff is a vital part of starting a café business: they are literally the face of your café. Don’t rush – take your time to find candidates who are friendly, genuine, and approachable. Hiring can seem like a daunting and overwhelming process. There are many different interview options available, and formal interviewing isn’t always the best process. Consider inviting applicants in for a chat and to discuss the role and responsibilities, or do a group interview to see their people skills. We hope this article has provided a useful resource for how to start a café business. Whilst there may be some risks to having your own business, there are also a bunch of positives. Cafés and coffee shops are always increasing in popularity so now may the best time to get started. Good luck!